Revelations One Has When Taking The Bus | I Say All This To Say….. Written quite awhile ago. But seems to have held up with passage of time. 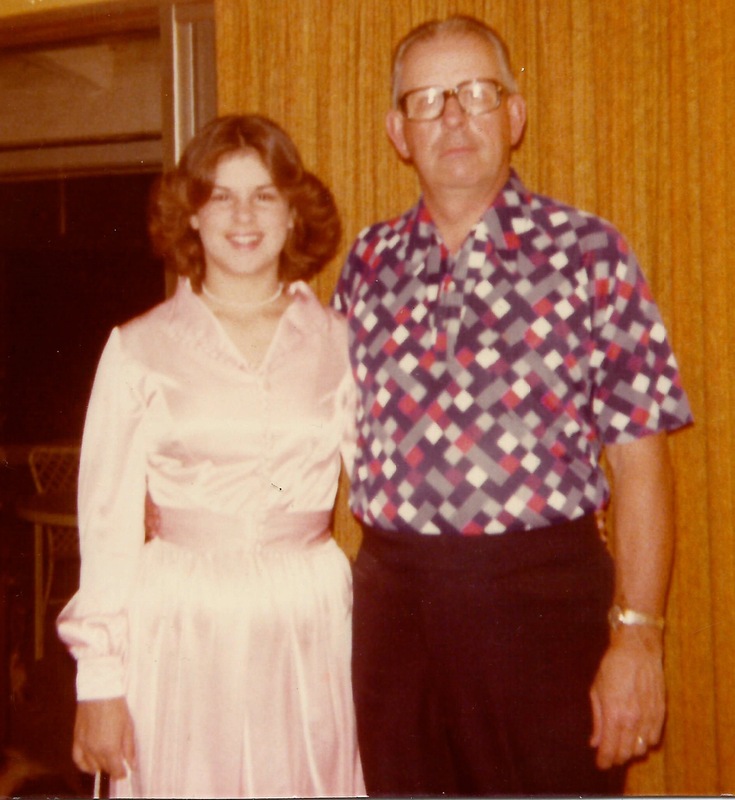 Me and my Daddy when I was 15. He raised me to believe that I was priceless in value. That being said, this morning I walked my daughter to school from the bus stop and was treated with an enlightening and rather stunning experience. We were walking behind a girl who looked to be about 16 years old who having a very animated and loud conversation on her cell phone. The jist of the conversation was this…a discussion of how she was going to sell her virginity on eBay or Craigs List. I think the friend wasn’t thinking it was such a great idea. The conversation started to take a certain turn where the replies were things like, “You know me girl, I’m not saying I’m going to do it, I’m just thinking about it.” Thinking about it. Thinking about it! This forced upon me way too many ethical dilemma’s before coffee. Is this where the internet age has gotten us? What makes a person a prostitute? But wasn’t this exactly what a “dowry” used to be back in the day and no one thought of it back then as something sleazy? I lost it to someone that I imagined I had feelings for…and it wasn’t so hot. Would it really have been worse to have walked away with a fist full of cash afterwards? What, if anything, do I need to tell my own daughter about this sort of thing? Perhaps my “first time” wasn’t something romantic out of a story book. But it was mine. It wasn’t bought and paid for, but freely given. And I can look back on it and know that I did it out of some feeling–desire, imagined love, seeking to be seen and touched and valued–rather than for a paycheck. Fee payable upon receipt. I guess it boils down to what parts of my mindsoulbody I believe are for sale. Sure, there are things you can pay me to do. But you can’t pay me to do anything or everything. Some of me is only for me, and can only be gifted, is not for sale, has no price tag. For all that you can pay me to do, the essential me doesn’t have a reserve price on eBay.